more about this rare showing at the bottom of this text). a much better picture quality than the other DVD's of the film i've seen. 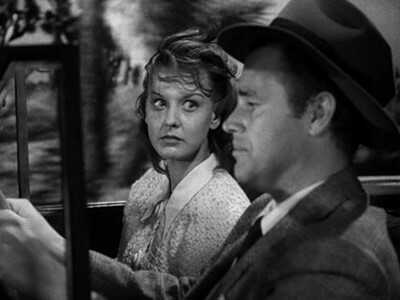 Surprise - NOT, as it's a staple of the 1940's Crime and Film Noir genre. unsophisticated clientele of the night-club, throwing his pearls before swine. 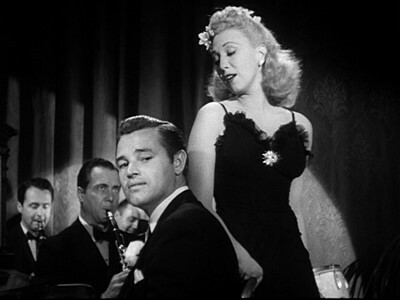 movie just vibrates with discomfort and looser spirit and it's delightful, magnific and the stuff Film Noir are made of. than anyone of us, and united we are stro ...... eeeh, weak. forgettable unique performance by Ann Savage. around and besides these manners she's also Rotten to the Core and lures Al into being her partner in crime. I don't think i've seen anything like this in movies before, besides possibly Sandra Bernhard in King of Comedy. "No matter what you do, no matter what where you turn, fate sticks out its foot to trip you"
wife and the fiction became reality. 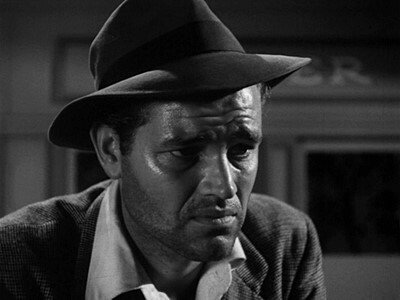 masterpiece Detour from PRC (1945), seem to be a Woolrich movie even though he has nothing to do with them. transfer Swedish television showed in 2010 was almost as bad with scratches a plenty. 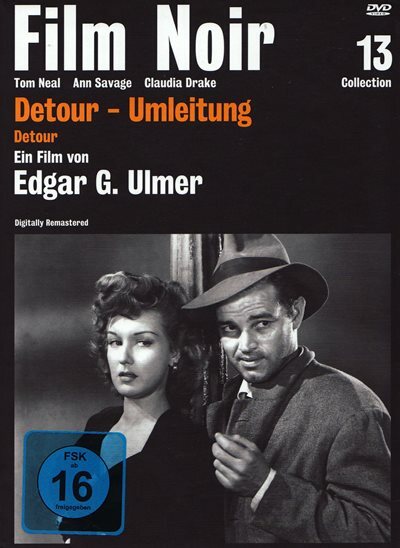 a serious restoration of Detour to a DVD or Blu-ray as the film are one of the best films ever made. resting to know how this transfer was made and from which source, but no such info. film collectors vault, and maybe a perfect source for a "real" restoration will show up in the future ? bores sitting around a table drinking wine and gabbing incessantly. philes worldwide (but not in Sweden) hail it as one of the, if not the Best low budget films ever made. 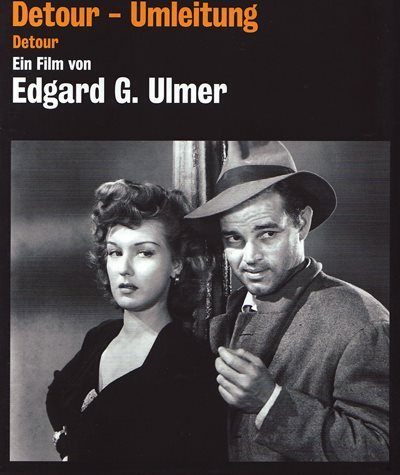 about Detour in their grotesque short-reviews when shown in TV - 3 out of 5.
i tidningarnas TV filmtips (Resident Evil Extinction fick t ex 2 i jmf och anses alltså vara nästan lika bra). (jag tror det var Mannen som slutade röka) en 4a.